This is a Matrix sequels edit like you've never seen before. 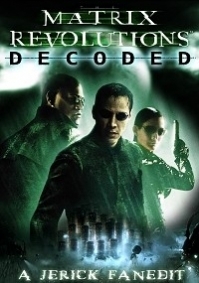 "The Matrix Revolutions Decoded" presents a complete and focused narrative executed in the same run time as the original "Matrix" while unveiling a brand new and more satisfying conclusion to the Matrix saga. Over 2 hours have been removed from the original source material without logical gaps or jump cuts. Decoded 2.0 released August 2016 creates an improved ending as well as a quick trip to Zion to explain many points that were left out of the original Decoded. 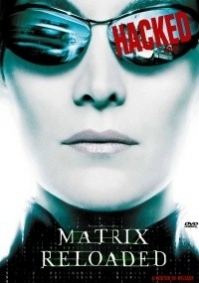 This edit completely replaces 2013's 'The Matrix Revolutions Reprogrammed'. 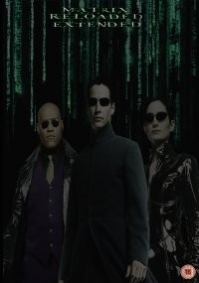 This edit takes ‘The Matrix Reloaded’ and extends it with an edited version of ‘The Animatrix: The Final Flight of the Osiris’, and 18 of the 23 live action scenes from ‘Enter The Matrix’. Creating one extended viewing experience, enhancing the main story, but mainly centering on expanding the story lines of Capt. Niobe, Ghost, Sparks, and Cmr. Lock. 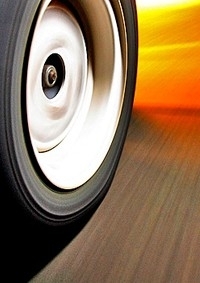 This gives MATRIX RELOADED a more purposeful and focused feel. And makes it more immersive and mysterious.